Disney’s Magic of Healthy Living has a variety of tools and resources. The Mickey Check makes it easier to make healthy choices in stores and online. 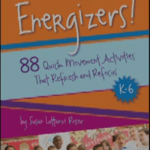 But the resource that I’m recommending is theDisney TRYit Activities and exercises. Simply print out the various small posters that show and have an explanation for how to correctly person the stretches and exercises. Take a Break Cards and Activities. Download a set of Take A Break Cards. Active Academics: Learning on the Move is a membership website with lots of physical activities integrated with classroom learning concepts. According to their website description, Active Academics is a resource for classroom teachers that provide practical physical activity ideas that can be integrated with regular classroom content. Free Site Register for free downloads in Open. Online Physical Education Network. 5210 Lets Go.Org has developed Motor Break Activities for the Classroom. They point out that their activities were collected and adapted from many sources including: Take Time, Mighty Milers, Brain Gym, and Yoga Cards. The Motor Break Activities for the classroom were developed by Lincoln Middle Schools 5210 Committee according to the cards. 5210 Lets Let’s Go! is a nationally recognized childhood obesity prevention program whose goal is to increase physical activity and healthy eating for children from birth to 18 through policy and environmental change. 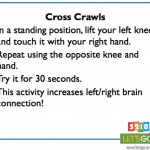 Download a free set of movement activity cards. 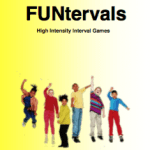 Funtervals Queens University FUNtervals are high intensity interval type activities that consist of whole body movements. An activity book for teachers. 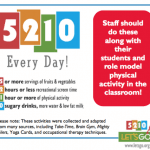 Created by the Office of Student Health and Wellness with contributions from Chicago Run, Mindful Practices and Playworks. Sparking Life Niagara Activity Cards are activity cards for middle school-adults. There are a variety of activities like a ladder, medicine ball, and stretch bands required for the various activities.